Cerium Oxide is an oxide of rare earth element Cerium. This commercial grade cerium oxide is widely used in the industry for polishing glass. Well classified cerium is economically great for float glass polishing glass after being ground. 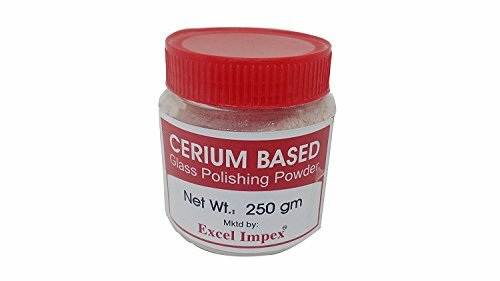 This commercial grade cerium works with wool felt or pad. The Commercial Grade Cerium Oxide Is Widely Used In The Industry For Polishing Glass. Well Classified Cerium Is Economically Great For Float Glass For Polishing Glass After Being Ground. This Is The Best Glass Polishing Powder Available In The Market. The Packet Containing 250 Gram.